Study: Asthma Inhaler use in Children Stunts Growth | Asthma. Technology. Games. Most people with asthma use inhalers that deliver a puff of salbutamol, a non-steroidal drug that quickly opens constricted airways. But around 80% will at some point take an inhalable steroid too, which works more slowly to reduce inflammation in the airways. Some 5.4 million people in Britain have asthma, with around a million being children. The latest findings come from two studies byFrancine Ducharme, a paediatrician at the University of Montreal, and researchers at the Federal University of Rio Grande in Brazil, for the Cochrane collaboration, an organisation that publishes “gold standard” reviews of health care research. For thefirst report, the researchers compiled evidence from 25 published trials of more than 8,400 children up to 18 years old. All had mild to moderate persistent asthma. From 14 trials that reported the figures, the average growth rate for children not taking steroids was six to nine centimetres a year. 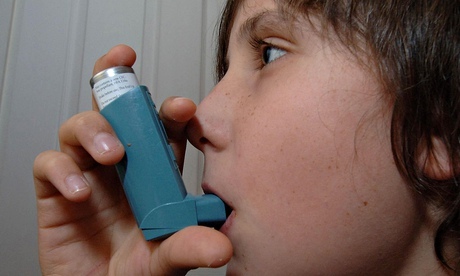 The range fell by half a centimetre in children who took any of six common corticosteroids used for treating asthma. Thesecond review looked at 22 studies of children who took low (50 to 100 micrograms) or medium (200 microgram) doses of inhalable steroids. Only three trials followed children for a year or more. They found that those on the higher doses of steroids were most affected, growing around 20mm less in a year than children who took lower doses. Ducharme said that the small number of studies that followed the effects on children for more than a year was a “major concern”, and recommended “that the minimal effective dose be used in children with asthma until further data on doses becomes available”. Samantha Walker atAsthma UK said the use of inhalable of steroids has seen hospitalisations and deaths from asthma plummet, but that three people still died from attacks in Britain every day. Check out the first and second studies.